One--a-day softgel providing Curcumin. 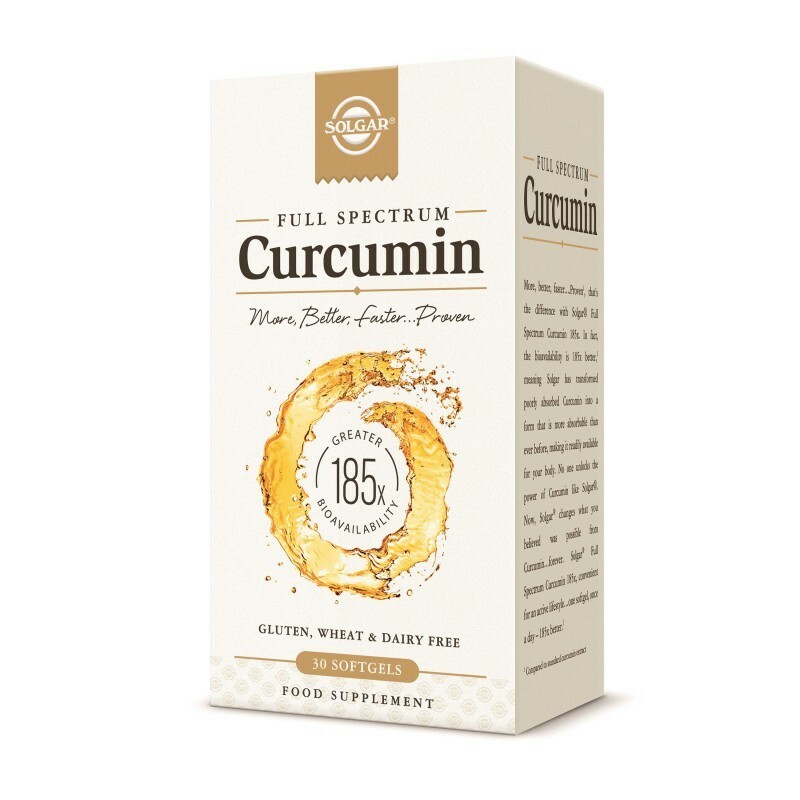 185x more effective and almost 7x faster than standard curcumin. Solgar® has unlocked the power of curcumin with a form that has 185x greater bioavailability than standard curcumin.This means better and faster absorption and it's more readily available to be used where it is needed in the body. While curcumin has anti-inflammatory properties, the body can find it difficult to absorb most standard curcumin products currently available. 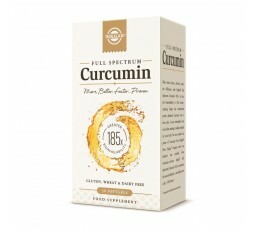 Solgar's Full Spectrum Curcumin 185x solves this problem and guarantees high quality and effective performance. Free from: Sugar, salt, starch, soya, yeast, wheat, gluten, dairy products & preservatives.